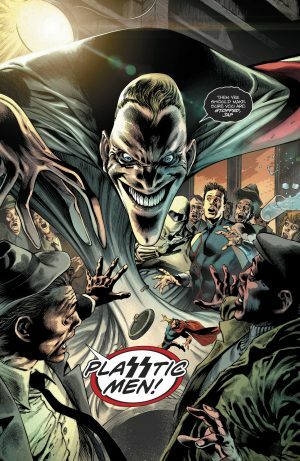 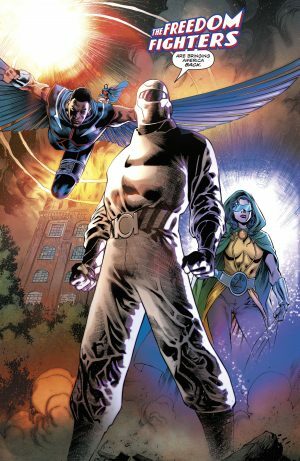 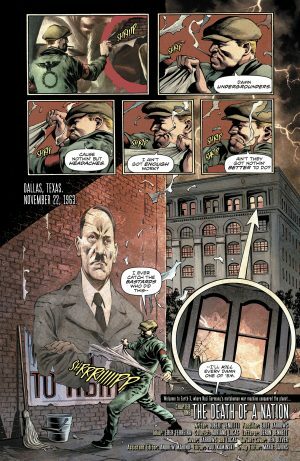 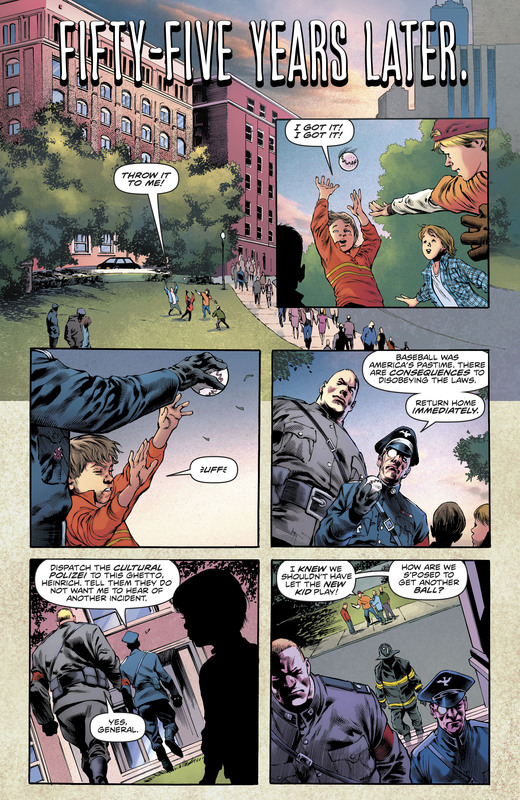 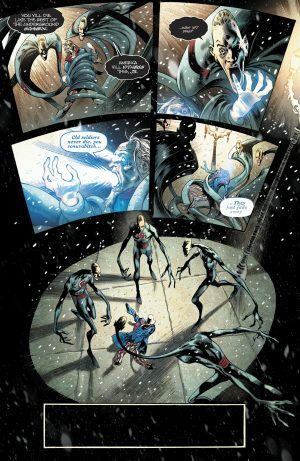 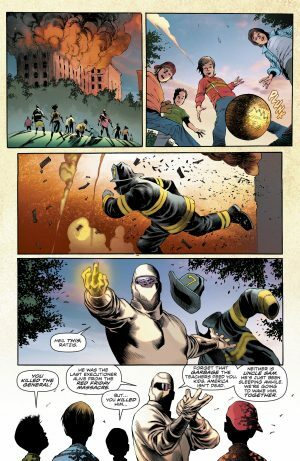 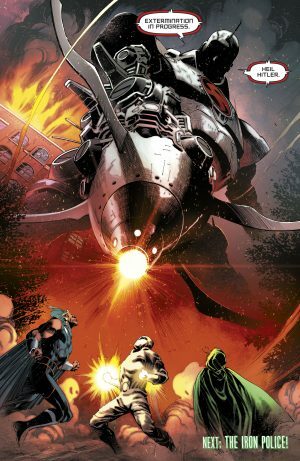 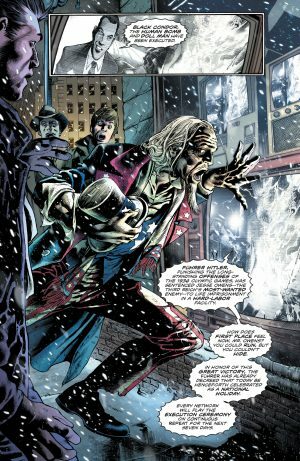 DC Comics Universe and Freedom Fighters #1 Spoilers follows. 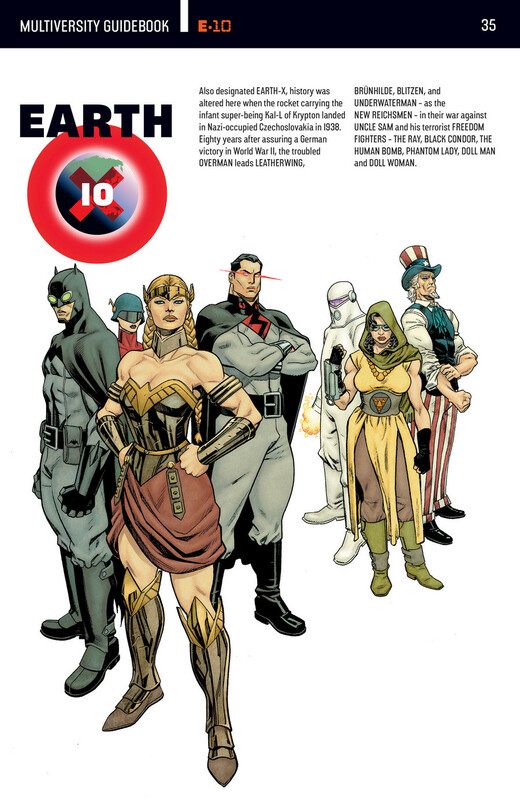 So, What Is This All-New Take On Justice Society Of America / JSA Era Multiverse Super-Team? 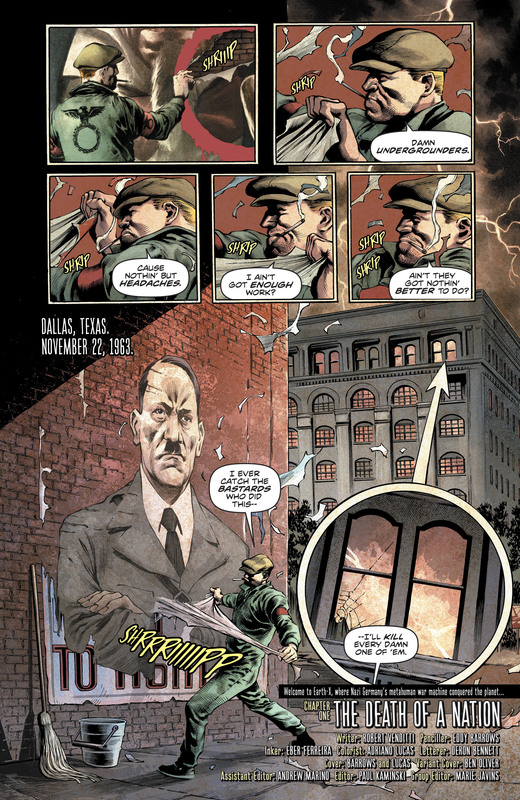 The story opens in 1963 on Earth X where on this world the Nazis won! …as Uncle Sam fades away in pain. All this 1963 groundwork on Earth X aka Earth 10 seems aligned with the Multiversity Guidebook explanation, but ends with big deaths as an exclamation mark. 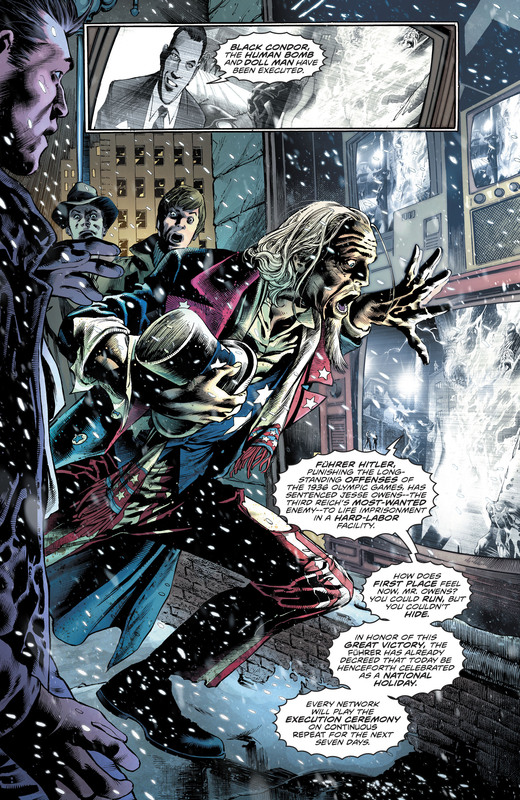 Then we pivot 55 years into the future of Earth X to 2018. A new Human Bomb emerges with a fire bomb and vulgar hand gesture for the Nazis. …they are greeted by a deadly Nazi juggernaut! 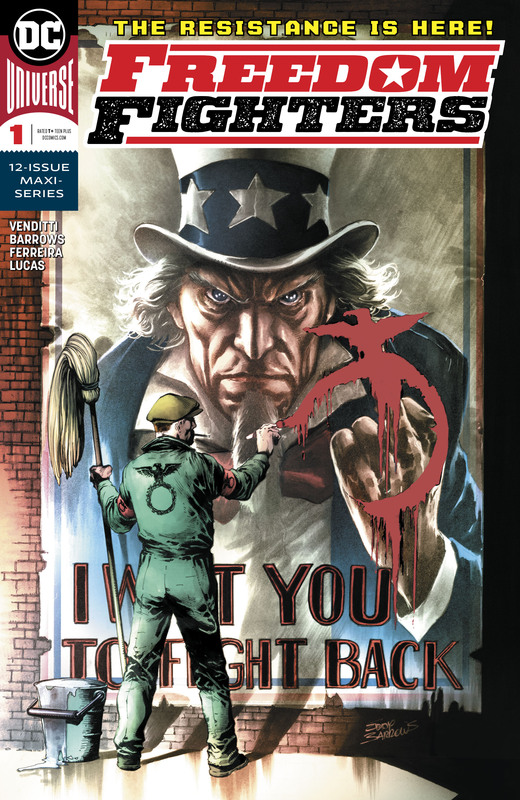 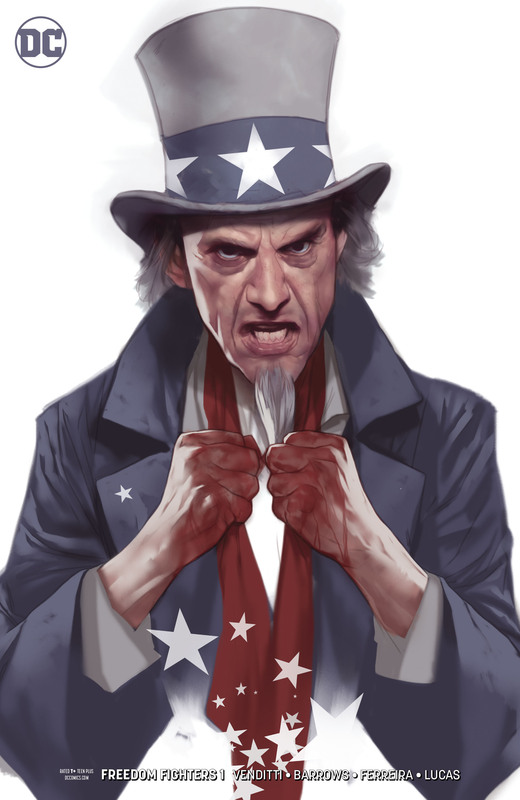 With the variant cover, it appears a young Uncle Sam is set to emerge as well. 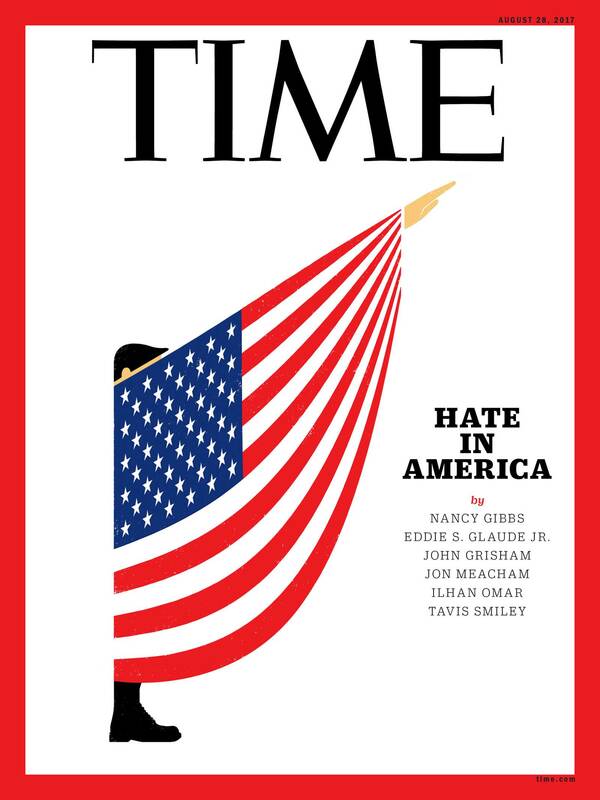 Art imitating life?